This past month I had a great time at the Palm Desert Food and Wine Festival in Palm Desert located next to the El Paseo Shopping district. 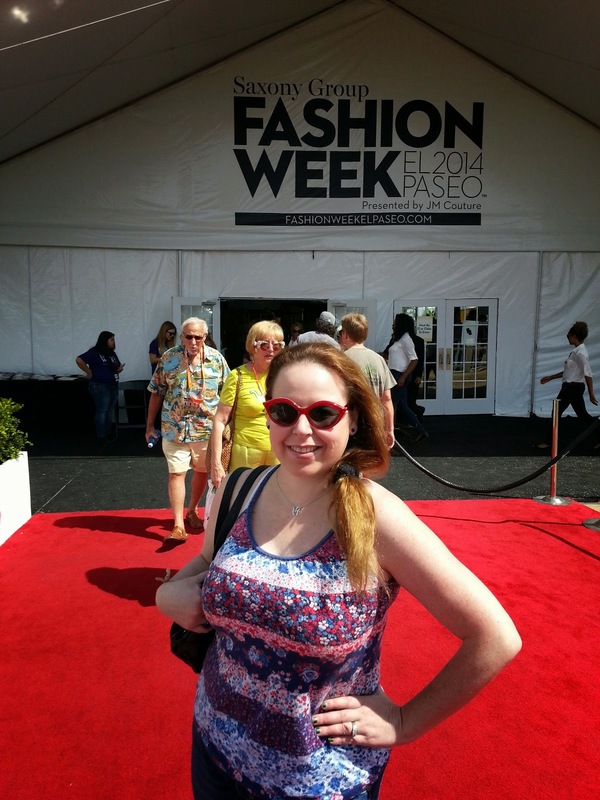 Every year the Food and Wine Festival of Palm Desert takes place off of Larkspur Lane in a big white tent that is put up for Fashion Week in Palm Desert the week prior. This was my second time at the festival. I went to the festival last in 2011. The first time I attended the festival, I attended on a Saturday and I personally think that day was a bit better for me. This time we headed up on a Sunday and got there a little later and the vendors were a bit more sparse. However, the vendors I did visit I thoroughly enjoyed and I wanted to share a small overview of the festival so if any of you happen to be in the Palm Desert area, you can check out a variety of these delicious restaurants to visit. 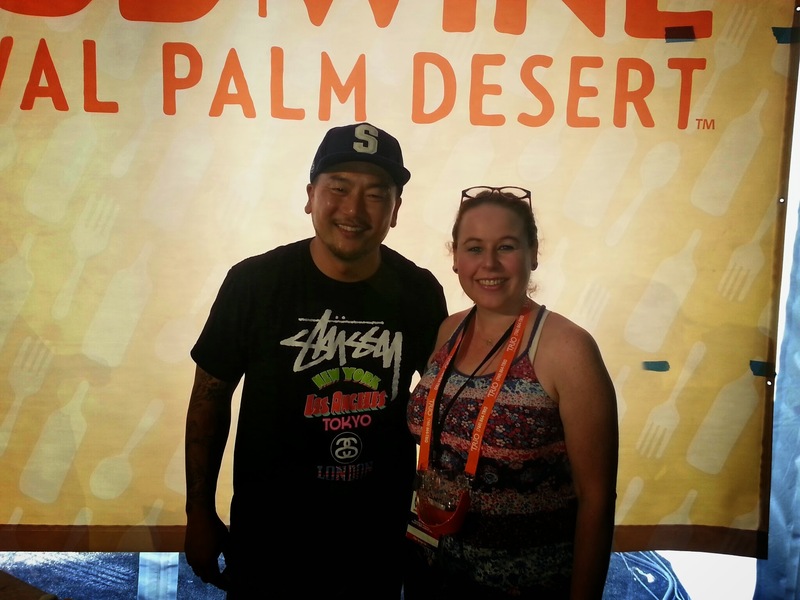 My highlight of the event was meeting Roy Choi of the Kogi Bbq, a Korean Bbq truck and he also owns and runs a variety of restaurants in Los Angeles including Chego, A-Frame, Sunny Spot and soon to come Pot in Los Angeles. Some of my favorite wineries included Grgich Hills from the Rutherford/Napa area and Gundlach Bundschu from the Sonoma area. Please enjoy all of my pictures below. Oh. My. Goodness. The food all looks so good! I’ll bet the wine tasting was great , too! Personally not a big wine drinker, but the pictures of the food look delicious! If I am ever in the Palm Desert area, I will definitely check out the festival. You definitely should! There is a little bit of something for everyone there! That looks like an amazing event! Everything looks so yummy. Sounds like you had a great time! I did, thanks:) Great food and wine is always my fave! Really enjoy visiting all these amazing places through your blog. Thanks Jim! There are so many great places to go and so many places I look forward to visiting in the future:) Loves living my life to the fullest! You always have such great venues to share with us. What a fabulous career you have sampling all these amazing places! My career is a teacher, but my blog is a fabulous side business opportunity…but it is continuing to grow! Never know what is to come in the future! amZING places, delicious food, WOW! Thanks so much Veronica:) It was a fun day! Most definitely! 🙂 Thanks Tom! It was a great time! I checked online and there seems to have just ONE festival and it’s wine only in October. Looks like I will have to come see you in California if I want to be able to attend a fun event like the one you went to! That would be so awesome Marielle! I would love to meet you in person! Let me know when you are going to come to Cali! 🙂 these events are a blast!